Piickme - Ride With Freedom App Data & Review - Navigation - Apps Rankings! Thinking about the hassle of going out in the city? Pickme has made it not easier but convenient. 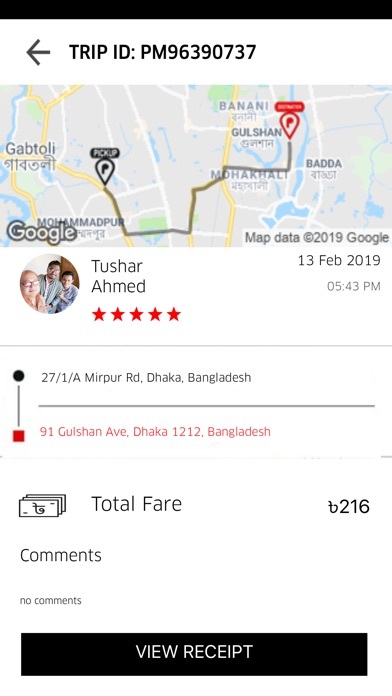 Pickme a CNG-BIKE-CAR ride sharing app for fast, reliable and mostly affordable transportation in Dhaka City, Bangladesh. Your ride on demand whether you’re headed to work, home, shopping, entertainment wherever you go, pick me app connects you with a reliable ride in minutes. Unlike other taxi or cab service, riding with Piickme is flexible & rewarding, helping riders meet their career & financial goals. Download pickme app and enjoy your pickme wallet bonus instantly. 1. 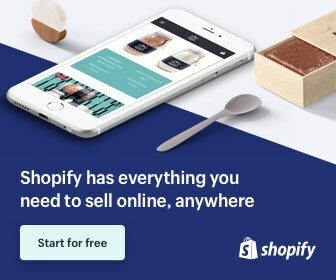 Most convenient app, Easy to call easy to pick. 2. Lowest fare, No hidden charge. 3. 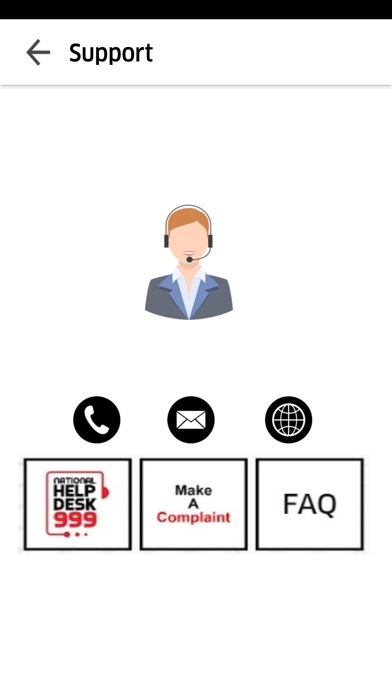 24 hours customer service. Also you can Refer your friend and both will get pickme wallet bonus after the first ride. 1. 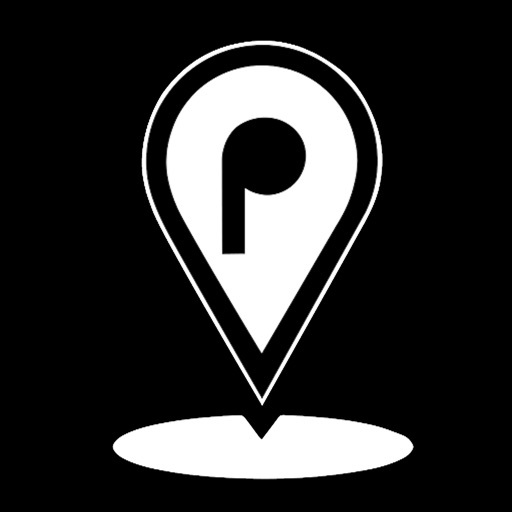 Download the Pickme app. 2. Sign up using your Phone Number or Social Media Account. 4. Choose your destination point. 5. Approximate fare will be shown for each service(CNG, BIKE, or CAR). 6. Choose the vehicle you want to ride and send a pick me request. 7. Within few second nearest pickme rider (CNG, BIKE, or CAR) will get your pick me request. 8. You will get the details of the Rider and the vehicle who accept your request. 9. 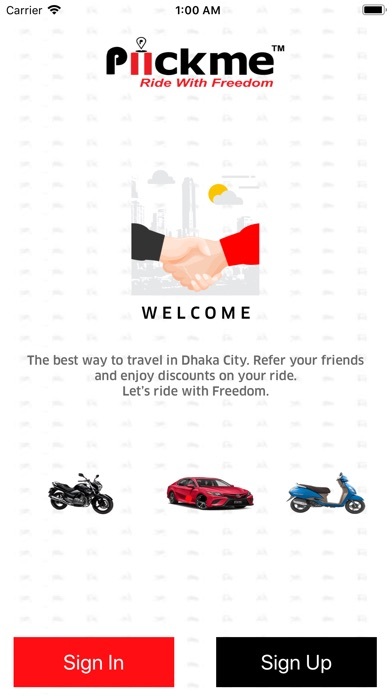 Enjoy the Pickme ride with freedom, Anywhere and anytime in the city. 10. Payment can be made by cash . 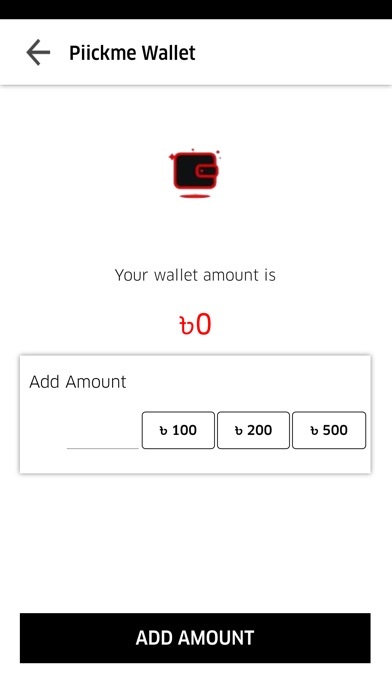 Pickme wallet, Bkash,Rocket or Debit/Credit card. 11. After the ride, rate your Rider and provide a feedback to help us for improving user experience. 1. Know you rout with Real-time tracking. 3. View all your trips. 4. Apply promo codes to get discounts on your ride. 5. Share Pickme app with referral promocode to your friends and enjoy piickme wallet bonus on every successful referral . Piickme is not only a ride sharing app ,our vision is to make it a family where both rider and user will be reliable to each other insuring the best service. So why are you waiting for, Download our app, be a valuable member of our family. “Piickme” it’s a family, because we care. Wherever you’re heading, count on Piickme for a ride—no reservations required. 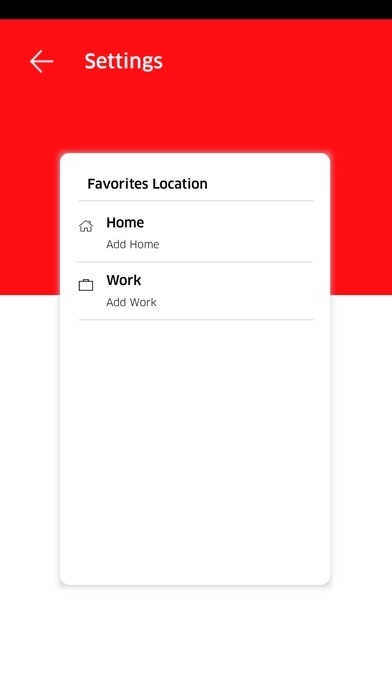 The applications Piickme - Ride With Freedom was published in the category Navigation on 2019-02-11 and was developed by Piickme Ltd. The file size is 62.40 MB. The current version is 1.1.2 and works well on 9.0 and high ios versions. Do you like Piickme - Ride With Freedom applications? Please share!